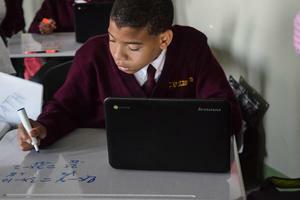 The Cristo Rey Network announced the launch of Putting MATH Education to Work, a $1.25 million investment by The Howley Foundation to dramatically advance student achievement in mathematics by developing the capacity of every Cristo Rey math teacher and school principal through sustained professional development and instructional support. Putting MATH Education to Work launches with an initial two-year cohort of seven Cristo Rey network schools including Christ the King Jesuit College Preparatory School. 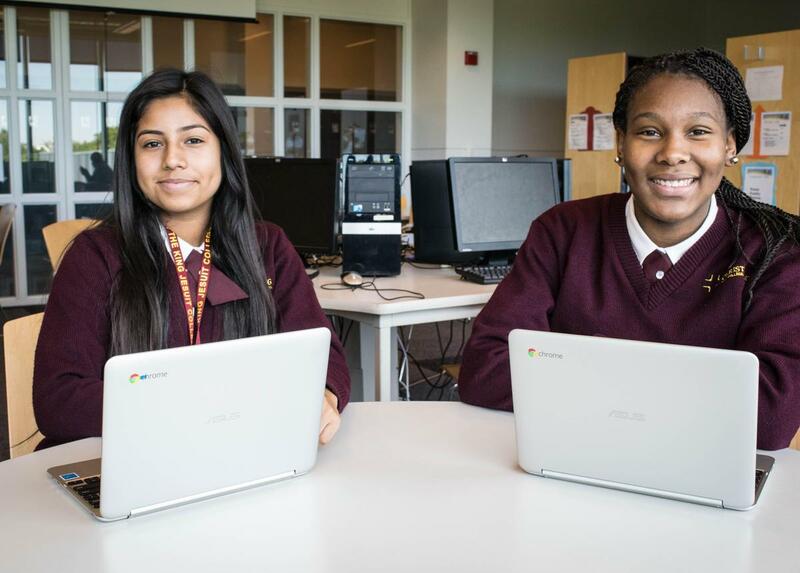 “We are honored to be among the schools selected through this very competitive process,” shared Christ the King Jesuit's Principal, Temple Payne. “Our families have placed a great deal of trust in us, and our participation in this initiative represents our commitment to provide our students with high quality instruction that allows them to compete on a global scale. Through this initiative we will strengthen our ability to provide our students with unfettered access to college and career options.” The Cristo Rey schools joining CTK in the first cohort are Cristo Rey Brooklyn High School, Cristo Rey Columbus High School, Notre Dame Cristo Rey High School (Lawrence), Cristo Rey Jesuit High School (Milwaukee), De La Salle North Catholic High School (Portland), and ICA Cristo Rey Academy (San Francisco). The entire math team and one school leader from each of these seven schools will gather six times over the course of the first year to collaborate with leaders in the field, the Silicon Valley Math Initiative, to drive this essential work forward. 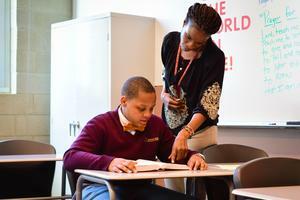 Targets will be established, using objective measures, to assess students’ math growth and attainment. The Silicon Valley Math Initiative will facilitate a comprehensive effort to improve mathematics instruction and student learning, based on high performance expectations, use of formative assessment and student work to guide instruction, and application of evidence-based math instructional practices.